Hi, I’m a professional tenor and soprano saxophonist. I graduated from William Paterson University with a Bachelors in Jazz Performance. I also have an MA in Jazz History and Research from Rutgers University. I enjoy helping students to develop improved technique, sight reading, and musicality. For those students interested, I also help them to develop a very solid foundation for jazz improv and theory. I’ve taught hundreds of students over the years, privately, in clinics, and in classrooms at colleges and universities. As a performing artist, I perform with many top jazz artists, and have performed with trombone legend J.J. Johnson, trombonist Steve Turre, drummer Akira Tana and Rufus Reid (Tana Reid), alto saxophone master James Spaulding, and others including Ed Cherry, Yoron Israel, Cindy Blackman, and Leon Thomas. I've been receiving instruction from Dan for almost a month, and I'm very impressed with my progression. Dan is a very patient, friendly and knowledgeable teacher who cares about my progress and success as a musician. I’ve seen improvement in my embouchure, increased my sight reading speed, and my intonation. I would highly recommend him to anyone interested in improving their ability to play the saxophone. 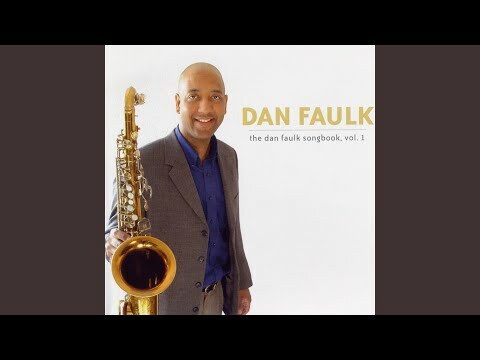 Before I engaged Dan Faulk as a teacher, I knew of him as one of the preeminent voices on the tenor saxophone. I had seen him in performance several times and heard him on recordings. I reached out to him for lessons because I knew that he was a great player who could likely help me achieve my goal of becoming a musician able to improvise in the jazz idiom. What I did not know until my first encounter with him was how easy it would be to work with Dan. By that, I in no way mean to suggest that he is a pushover or that my lessons were not serious, rigorous or challenging. What I mean is that Dan is the rare instructor who has the ability to help you stay focused and positive while at the same time challenging you in a disciplined and nurturing way. With his guidance, I certainly became a better musician in every respect. One of the most important things about my time with Dan is that fact that he used a pedagogical framework that clearly conveyed for me at the outset the work necessary for me to become an effective improvising musician. Dan is extremely knowledgeable about the inner workings and alternative underlying theories of jazz improvisation because he has played with and studied with many of the luminaries of jazz, and he knows how to structure and present this information. With his vast knowledge and desire to facilitate my musical growth, Dan kept me on task during our twice a month sessions and was always available in between sessions for any questions I might have had. In short, I am very happy that I reached to Dan for lessons as he is a wonderful and enthusiastic teacher. Dan Foulk is not only a great sax player, but also an amazing teacher. He is honest in his teaching style and observes each of students carefully. He listens deeply to them and catches what students are missing that will allow them to grow as a better musician and performer. Dan shows his students what they need to improve their technique and proficiency but also gives them the tools to develop an ear that is able to hear their own mistakes. This is one of the most important skills to have as a jazz musician. Personally, I really enjoyed studying with him and highly recommend a lesson with him whether you’re a beginner, intermediate, or even a professional musician. My jazz lessons with Dan Faulk were always very inspiring. He was able to hear what I was after and help me to identify and overcome the obstacles in my way. He encouraged me to pursue a more complete command of the instrument and to stay curious about many different approaches to improvisation. One of the things that stuck me the most was how open and generous he is, sharing wisdom from the many masters who he has worked and studied with. This really helped me to feel closer to the source of the music and was a great motivation to strive for my best.